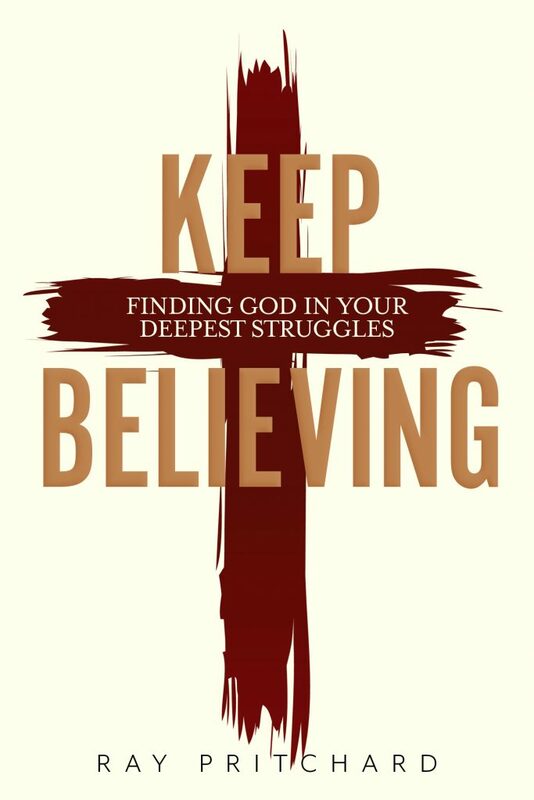 Here's the Cover for the New Edition of "Keep Believing"
While recovering at home from my broken ankle, I have been working on a new edition of Keep Believing. In 1997 Moody Publishers printed the first edition. Several years ago they gave the publishing rights back to me. For a long time, I've wanted to issue an updated edition. I'm happy to say that the time has come. You can see the brand-new cover up above. The new edition has 13 chapters, including five that were not included in the first version of the book. In many ways Keep Believing started everything else for us. Until I wrote An Anchor for the Soul, it was my bestselling book. Right now we're in the final stages of editing and proofreading. God willing, the new edition will be available sometime in March. Please pray with me that God will use this new edition to encourage a new generation of readers to keep believing in Jesus.